I'm the daughter of the founders of Fockel's Superior Drapery, Andy and Shirley Fockel. 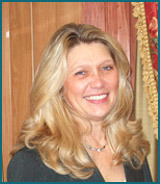 They started our company in 1954 as an upholstery shop and soon began adding blinds and custom drapery. I purchased the business in 1990 when the business was moved to the Valley Road location. Besides our blinds, drapery and upholstery, we sew drapery for other businesses and have a wholesale drapery workroom. I strive to hold up the quality and standards my parents set. I am at the store everyday, doing all of the paperwork, wholesale and workroom production. It has been an honor to serve the community for so many years and I look forward to many more. In my position at Fockel's, I wear many hats. 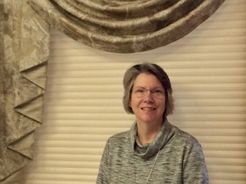 I answer the telephones, set appointments, receive incoming shipments, act as a liaison between the customers and the designers, inventory the showroom and keep all of our pricing current. I also help walk-in customers when they need parts, repairs on blinds or custom fabrics. 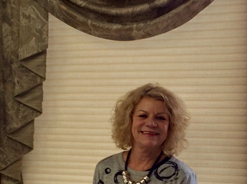 Working with the Fockel's team has taught me a lot about the custom window fashion industry. I've learned that there is no standard sized window and that each and every window has its own needs for functionality and beauty. It is rewarding to work for an established company that strives for excellence in all that they do. 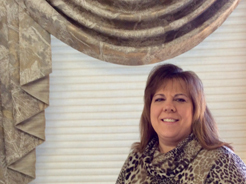 As an interior designer for Fockel's, I specialize in blinds, shades, window treatments and bedding of all styles. I started with Fockel's in 2001 after working freelance out of my home for 10 years. I enjoy working with my customers and helping them with their window needs. I also enjoy working with commercial customers, whether it be one office, one conference room or the entire office. People spend many hours a day in their work place and deserve to have a pleasant and comfortable environment. The best part of working for Fockel's is the friendly atmosphere and the consistent quality of workmanship. We strive to give our customers the best product available and the highest customer service possible. At Fockel's, I am a windows specialist, treating windows with blinds and custom fabricated treatments. I work with customers in the store as well as outside sales calls for residential and commercial buildings. I enjoy designing custom window treatments and finding the perfect fabric needed for home application. After graduation, I worked freelance from my home for eight years. Fockel's had been my workroom during that time. When they had an opening, I joined their staff. I have been working with clients at Fockel's since 2000, covering their windows for privacy or artistic purposes. I enjoy working with people and trying to help them make their home a reflection of their style and taste. All of these women started sewing at a young age and have taken their love of sewing and their skills to a higher level in our drapery workroom. They can fabricate and create some amazing designs that complement your style or stand out as a focal point in your home. From simple elegant panels to a wall of swags, this group of women can do wonders with fabric. They truly enjoy working on each new order. No two orders are the same; fabrics, style and design are always customized for each client. In effect, each project is a new and fun challenge they enjoy meeting. Customers are welcome to walk back in the workroom at anytime to see the progress of their project and to interact with the seamstresses. I moved here from Los Angeles, CA and joined Fockel's in 1998. My background is in the clothing industry as a tailor. 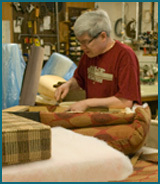 Since starting here I have worked and trained with Andy Fockel and their previous upholsterers. Now I work on blind repairs, cornice boards and window seats and I take great pride in my work.